Welcome to our April Book of the Month feature at Fat Quarter Shop! 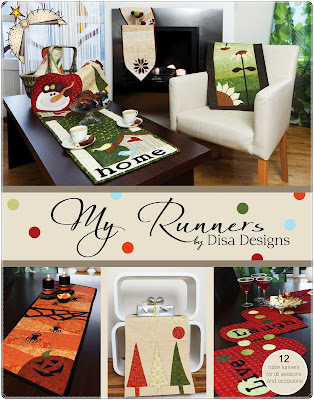 This month we are featuring the My Runners Table Runner Book by Disa Designs. 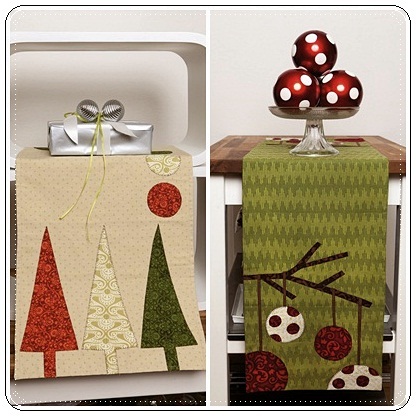 Disa is here today to take us on a little adventure through her table runners. Thank you, Fat Quarter Shop, for choosing My Runners as your book of the month, and for giving me this opportunity to share a little bit about the making of it. I live in beautiful Iceland, I am married to Solvi and we have four energetic children from the ages of 2 to 19. To paint and to sew has always been a big part of my life, and I have a degree in teaching art. 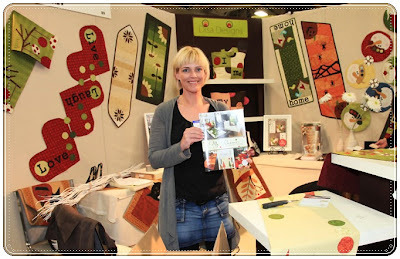 In the year 2004 I established my pattern design company in Iceland, and subsequently started marketing my business, Disa Designs, overseas. 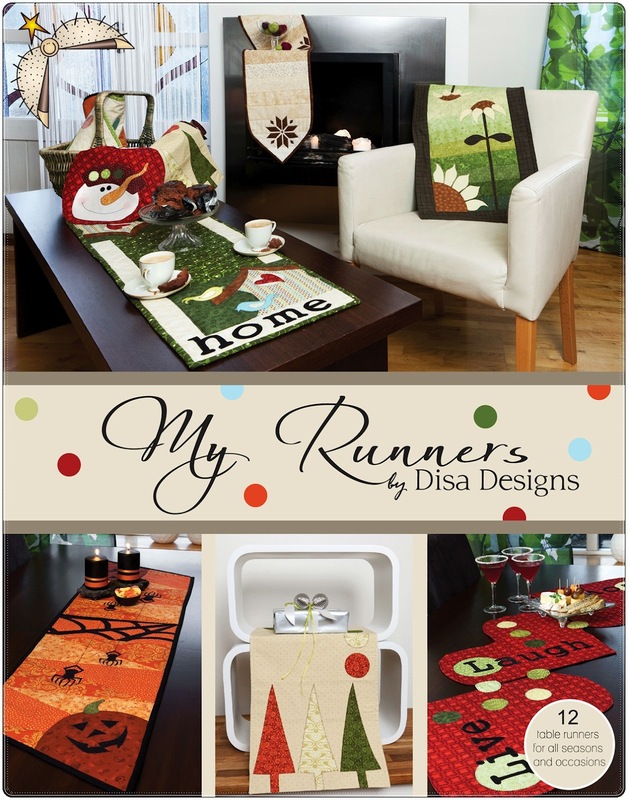 I have participated in the International Quilt Market shows in the United States since 2006, published numerous patterns, and the My Runners book is my sixth book. I am very fortunate to have the opportunity to do what I love best and I hope that this sentiment is mirrored in my books. The book My Runners contains 12 runners that can be used all year round for all kinds of opportunities. I designed and wrote this book when I was on maternity leave with my youngest and therefore had a lot of bases to cover with a wonderful little helper by my side. There is something about runners that fascinate me. I am one of those people that keep a drawer full of various runners. 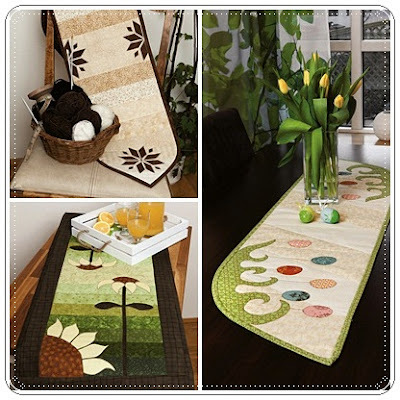 I enjoy interchanging table runners to create a new atmosphere with the seasons, and also depending on what kind of mood I am in. The oblong shape draws my fancy, but I also find it fascinating to make runners in non-traditional shapes, as you can see with my Frosty Apple Cheeks... Live, Laugh, Love and Ho, ho...Santa´s Here runners. I love to draw, and that is why I use lots of appliqué in my runners. They are very picturesque and I enjoy thinking about shapes and color combinations. These last years I have found that I enjoy using bright colors in my design and it‘s also fun to include some runners that are modern. 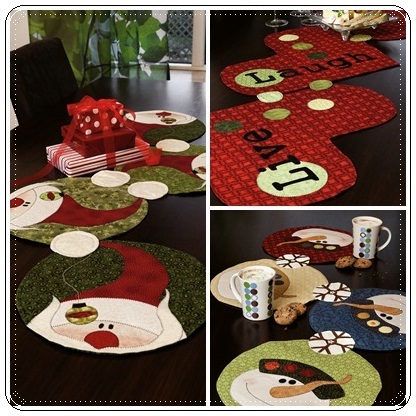 It also certainly doesn´t hurt if they are quick to make and simple like with the Modern Christmas and Polka Dots Christmas runners in the book. A few of the runners in the My Runners book are sewn with the quilt as you go method. This is a fun method, and it is quick and easy to sew these types of runners. The runners Easter is Here, Winterstar and Sunflower Fields are sewn with this method. To have the opportunity to design, create, produce and then to get the design out there for others to enjoy is an extraordinary adventure for me. It is an indescribable moment to get your book in your hands after months of design, photography and layout work. I hope you get a lot of use from my book and that my runners, that are so dear to me, fill your house with happiness and love. At this time I am putting the finishing touches on another table runner book, My Runners Keep Going which will be published in May. I hope you get the chance to take a look at it as well when the time comes. You can find my website here, and you can follow Disa Designs on facebook.